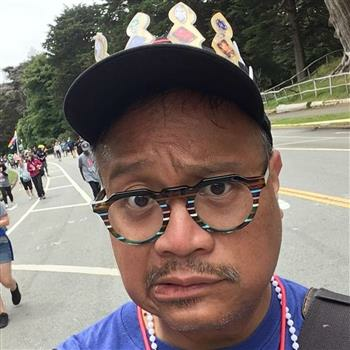 Welcome to my personal fundraising page for the 2019 San Francisco AIDS Walk! I’m so glad you found your way here…. I am SO proud that my agency, Lutheran Social Services of Northern California, is again participating in the Walk this year for a second time. Raising awareness that this crisis is not over is so important to me as it cuts across all demographic lines and impacts my friends, dearly loved ones, and clients alike. While we have made some amazing strides over the years, there are still so many obstacles to ensuring that EVERYONE has access to the critical information and the life-saving treatment they need. Thank you for supporting me in this campaign. A gift of ANY size gets me closer to my personal goal, which I have increased this year because of the overwhelming response I got last year. It is SO heartwarming to know that there is a community out there that shares my commitment to supporting the vulnerable in our midst.